Representatives from VH1 Save The Music Foundation, Toyota and the School District of Philadelphia were also on hand to present the grant, which will support electronic music creation and technology - including deejaying, beat making, songwriting and audio engineering - in the school. 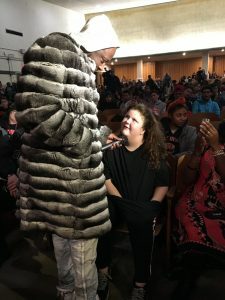 Wyclef Jean, along with members from Toyota, VH1 and the staff of South Philadelphia High School had the posed for a picture with the $50,000 grant that was presented to the school. 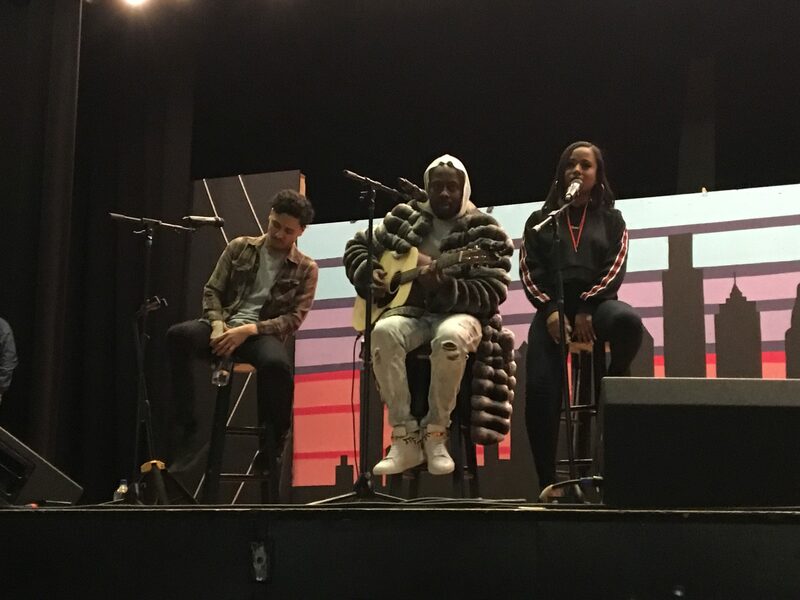 Last Wednesday, musician, producer, composer and founder of The Fugees Wyclef Jean joined students at South Philadelphia High School, presenting them with a $50,000 music technology grant in a special ceremony. Jean was joined by up-and-coming pop artists Jazzy Amra and Jeremy Torres. 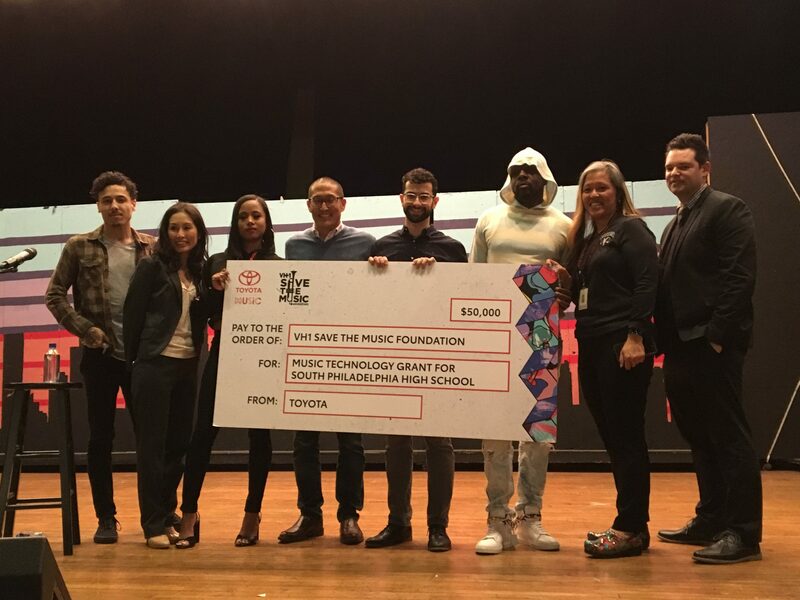 Representatives from VH1 Save The Music Foundation, Toyota and the School District of Philadelphia were also on hand to present the grant, which will support electronic music creation and technology – including deejaying, beat making, songwriting and audio engineering – in the school. 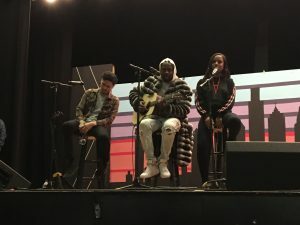 Wyclef Jean gave the students of South Philadelphia High School the opportunity to ask him questions about his life and career as a Haitian-born recording artist. After speeches from Toyota and VH1 representatives, Jean took the stage and answered questions from students in the audience. It wasn’t lost upon Jean, who was born in Haiti and raised in Brooklyn, that many of the students were a bit too young to be familiar with his work. Jean stressed the importance of education to students. Before the assembly, Machos said that the grant was a surprise for most of the students. Jean performed music with two up an coming artists, Jeremy Torres and Jazzy Amra, at the presentation. Machos said that “a couple hundred” students in the school’s music program will have access to the equipment.